Situated in Rotherham, this hotel is within 6 mi (10 km) of Roche Abbey, Thrybergh Country Park, and Rotherham General Hospital. Clifton Park Museum and Rotherham Minster are also within 6 mi (10 km). Situated in the business district, this hotel is within 6 mi (10 km) of Elsecar Heritage Centre, Wentworth Garden Centre, and Parkgate Shopping Park. Wentworth Woodhouse and Conisbrough Castle are also within 6 mi (10 km). 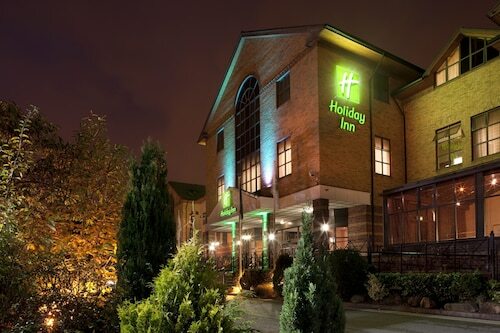 Situated in Rotherham, this hotel is within 3 mi (5 km) of Rotherham General Hospital, Magna Science Adventure Centre, and Meadowhall Shopping Centre. Rotherham Minster and New York Stadium are also within 3 mi (5 km). 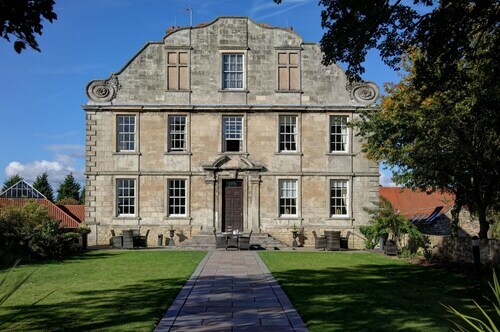 Situated in the suburbs, this spa hotel is within 6 mi (10 km) of Roche Abbey, Thrybergh Country Park, and Rotherham General Hospital. Clifton Park Museum and Rotherham Minster are also within 6 mi (10 km). Situated in Rotherham, this hotel is within 6 mi (10 km) of Roche Abbey, Rotherham General Hospital, and Thrybergh Country Park. Clifton Park Museum and Rotherham Minster are also within 6 mi (10 km). Situated in Rotherham, this hotel is within 3 mi (5 km) of Keppel's Column, Meadowhall Shopping Centre, and Magna Science Adventure Centre. Rotherham Minster and New York Stadium are also within 2 mi (3 km). Rotherham Central Station is 27 minutes by foot. 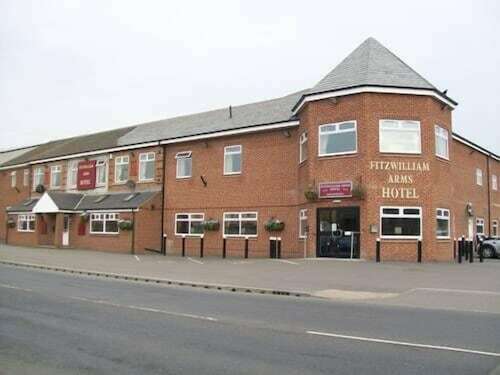 Situated in Rotherham, this hotel is within 1 mi (2 km) of Parkgate Shopping Park and Rotherham Leisure Complex. Rotherham Minster and Clifton Park Museum are also within 2 mi (3 km). How Much is a Hotel Room in Rotherham? Hotels in Rotherham start at $34 per night. Prices and availability subject to change. Additional terms may apply. Rotherham is home to a great selection of places to rest and relax. Those using Travelocity can dream about resting in about 17 excellent hotels and apartments within a 6-mile (10-kilometer) distance of Rotherham's heart. Some rooms situated near the center of Rotherham are the Carlton Park Hotel and Stonecroft Hotel. 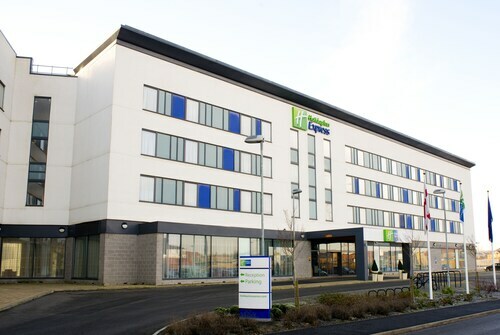 Holiday Inn Express Rotherham North is one of the small selection of cheaper hotel options in Rotherham. The The Rutland Hotel is located 9 miles (15 kilometers) outside of the middle of Rotherham. 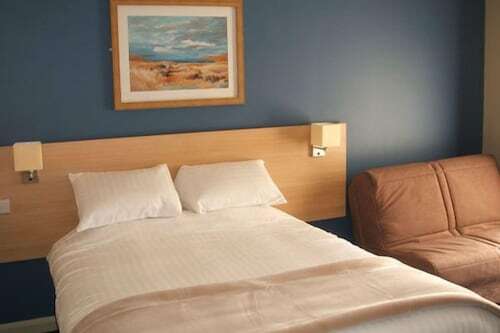 An alternative place to stay is the Best Western Premier Doncaster Mount Pleasant Hotel, which can be found approximately 11 miles (18 kilometers) away. 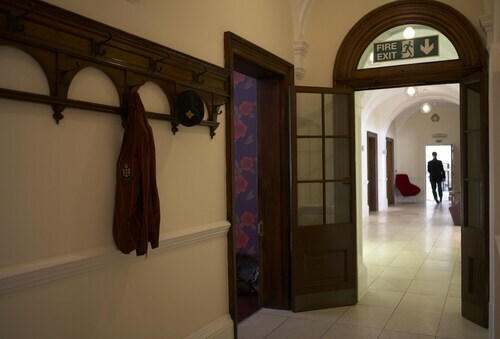 Some other hotel options are the Casa Hotel and the Whitley Hall Hotel. 9 miles (15 kilometers) away from Rotherham, you can reach Sheffield, where you can spend the day visiting Peace Gardens and Sheffield Town Hall. If you want to get to Sheffield, be sure to check out the The Garrison Hotel and The Hillsborough - Inn. Or, you could consider staying in Hillsborough, 8 miles (13 kilometers) to the west of Rotherham, where you can choose from the Mercure Sheffield St Paul's Hotel and Spa and Leopold Hotel. The Hillsborough Leisure Centre and Hillsborough Park are other frequented attractions to see when visiting Hillsborough. Make sure you get a fix of sport by making the pilgrimage to Old Trafford, situated 40 miles (65 kilometers) to the west of Rotherham. 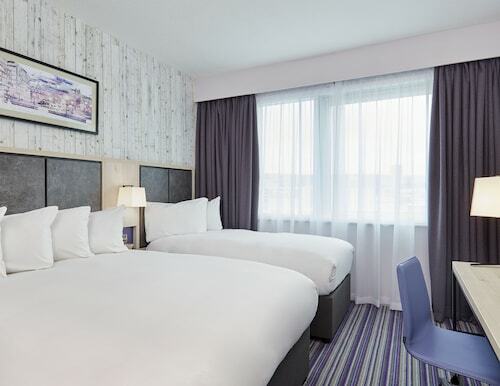 For tourists who like the thought of locating a hotel not far away, book a room in the Dreamhouse Manchester Bloom Street or The Lowry Hotel. If you choose to fly into Rotherham, Robin Hood Airport is your most logical gateway. It's 13 miles (20 kilometers) from downtown. 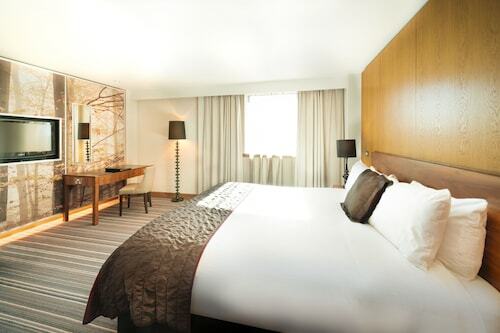 Ramada Encore Doncaster Airport is close to the airport. We spent 20 nights here and were blown away by the friendliness of all the staff. 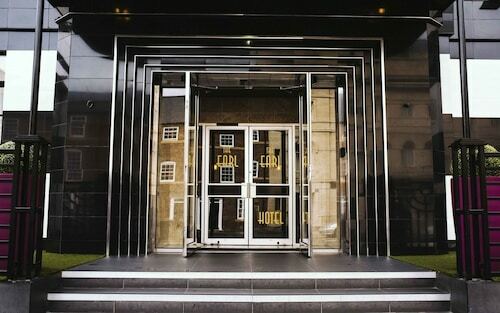 From the moment we checked in there was a feeling that everyone took pride in their work and made us feel very welcome. Any issues were dealt with immediately and with a smile on their faces. The breakfast was amazing and always fresh. There was plenty of variety to suit all tastes. The bar staff were also extremely friendly and always were polite and helpful. A special mention has to go to Robert who bent over backwards to accommodate our every need. He made is feel as if we were the only people there which is no mean feat given the size of the place. The room was cozy and clean. It really seemed like a home from home. in all it was a most enjoyable stay and we would not hesitate to go there if we ever visit the City of Sheffield again. Highly recommend, you will not be disappointed. 5.0 Great place to stay, I had a wonderful time there. It was a great place to stay. I traveled from Columbus, Ohio and coming in as a foreigner I didn't know a lot of things, but they were tons of help. The room and accommodations were incredible. The hotel was very well kept, as well as the room. The breakfast was wonderful and had great service as well. I enjoyed swimming at the pool many times. The wifi provided for free was also very strong and worked well. I could not have asked for a better place to stay while I was overseas on my trip. The staff went above and beyond to make sure I had everything that I needed without it being a problem at all. I saw some bad reviews before booking, but I had a very wonderful experience. The rooms were clean but very small. The continentla breakfast was a disappointment. It was only pre-packaged food & very little of that. We were charged a pet fee even though they advertise as "pet frindly" without mention of a fee. We spent 4 nights here. The rooms were fine but hot. When I put the air on, the unit blew out hot air so I called reception several times. I gave up after the third day and left the window open . We ate at the restaurant where there was a huge menu but we had only 4 entrees to choose from all of which were expensive, for 3 people with drinks it was *$$*. The service was terrible. The waitress was rude , abrasive and inattentive . The hotel itself is in a good location for the train station, buses and stores . The rooms were comfortable although one day housekeeping didn't come. 5.0 Great Place to Stay!! If you're looking for a sterile environment in which you can eat off the floor, go to a hospital and stay. If you're looking for a very interesting, quaint, unique place with a LOT of character and ambiance, this is your place.The customer service was wonderful. I can't say enough how pleased I was with the accommodations, attitude and overall value of this establishment. I fully recommend you consider staying here. Mainstream is boring; Chateau La Crosse is an experience."